Your sister/best friend/coworker/neighbor discloses to you that he or she is having “relationship difficulties.” With a bit more digging, you come to learn these difficulties are actually domestic abuse—psychological, emotional, verbal, sexual — there may even be physical violence occurring. Your heart drops and your anger level rises. You jump into advice-giving mode: This is what you’re going to do now, you say, and you begin counseling your friend on how to leave their partner. A week later, he or she acts like the conversation the two of you had never happened. Everything’s fine, they say, but your instincts tell you otherwise. Frustrated, you don’t know whether you should let it drop or keep pushing them to talk about it. After all, it could be a matter of life or death. Sue Villilo, executive director at CHOICES for Victims of Domestic Violence in Ohio, explains why well-intentioned offers of help from loved ones can sometimes go unheeded by survivors. Most abuse involves psychological abuse tactics, which may mean survivors believe they are dependent on their abuser for any number of things—support, self-worth, money, basic survival needs. “They may not believe they have the ability to leave,” says Villilo. There’s never a quick fix for someone living with abuse. “The abuse did not start overnight, therefore, getting out of a relationship [with an abusive partner] will not occur overnight,” says marriage and family therapist Tarra Bates-Duford of Family Matters Counseling Group. The first step to helping is to simply listen to the survivor. According to a recent survey on DomesticShelter.org, “listening and supporting unconditionally” was ranked as the most helpful thing support persons did for survivors facing abuse. Educate. Help him or her recognize they are being abused and that this behavior isn’t part of a normal relationship. You may want to encourage them to call a domestic violence hotline where a trained advocate can better help them understand the signs of abuse. Listen & Support. You can be most supportive by simply listening to what the survivor has to say. Remember that abuse is not an easy subject to discuss, so recognize the strength involved in telling his or her story. Reassure. Let the survivor know that in no way did they cause the abuse; it’s not their fault and they never deserve it. Remind. It may help to remind survivors that they are not alone. Four in 10 people experience at least one form of coercive control by an intimate partner in their lifetime. An estimated 1.3 million women endure a physical assault by an intimate partner every year. If the survivor isn’t listening to your pleas to leave, and you fear for his or her safety, you may think a phone call to the police will help. While your heart’s in the right place, there are some things to consider first, says Villilo. However, says Villilo, a general call to police to report a suspicion of abuse when you haven’t witnessed it yourself and it isn’t happening at that moment is, unfortunately, not as likely to get a police response. And, if it does, this could further endanger or alienate the person being abused. 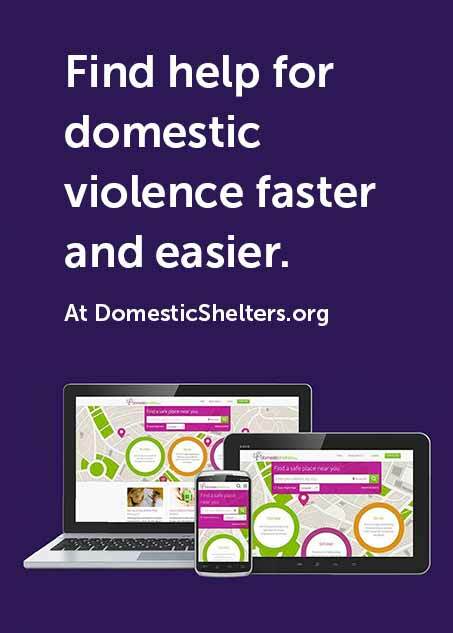 “If you are struggling with whether someone you care about is experiencing domestic violence, call a local or national domestic violence hotline to speak with someone about the unique situation,” says Vililo. Advocates know how stressful it is to learn someone you care about is in danger or being hurt, they are trained to support you and help you develop effective strategies to assist family, friends or co-workers.